Social security is like a mythical beast. You know all about it but you don’t really understand it. It’s been part of your life forever, but you’ve never really experienced it. Apart from working for the majority of your adult life and “paying into the system”, there really isn’t too much you can do with regard to planning for social security. However, there are certain numbers and dates relative to social security that can help you make informed decisions and better plan for your retirement. Social security was enacted in 1935 by President Roosevelt as a general welfare benefits and social insurance program, designed to provide income to retired workers after age 65 and income benefits to disabled persons. The program has maintained its integrity over the years, despite on-going discussion about the financial viability of the benefit for current and future generations. As an employee, both you and your employer pay into the system. The money is pooled into a group account, and then paid out to eligible individuals. The amount you receive is a percentage of your gross earnings, and is eventually paid back to you as a benefit when you retire, reach a certain age, or qualify under various disability provisions. According to government reports, $.85 of every dollar paid in to social security is paid back to the employee. The remaining $.15 is paid as disability benefits to qualified individuals. The best way you can plan for social security is to log into the government website and confirm your personal information and data. If you notice that there are gaps or discrepancies in your employment history, take the time to correct them. Will My Benefits Be Enough to Live on? Your social security benefits will be based on how much you have earned over the course of your career, plus the age at which you begin drawing benefits. It is commonly believed that deferring collection of your accrued social security benefit for as long as possible will increase the amount you ultimately receive, however, given the uncertainty of the long-term viability of the Social Security Administration to meet future benefit needs, you may want to discuss your distribution date with your accountant or financial planner. How Can I Plan for Social Security? A good strategic plan for retirement includes more than just social security. Evaluate your personal savings, retirement accounts, and other sources of income as part of your planning process. Most planners suggest that you will need to replace between 70% and 80% of your pre-retirement income in order to maintain a comfortable standard of living. 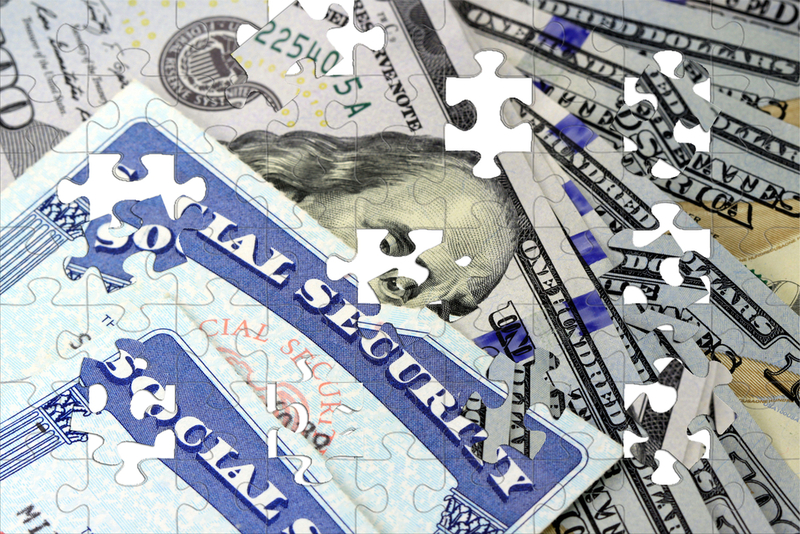 Social Security benefits may only meet 30% to 40% of your income needs, if that. Perhaps the best way to plan for social security is to consider it a bonus payment, rather than a primary source of income. If you have questions about how to determine what your benefits are, or how they will fit into your overall retirement plan, call our office and speak with a qualified professional. At Mooney Lyons, our goal is to help make your retirement possible through good planning.